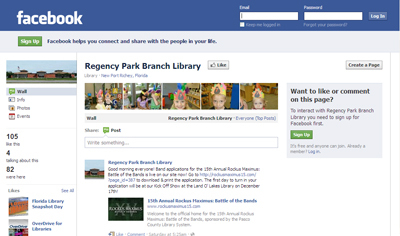 Looking for an even more convenient way to see what's happening at your library? Now, instead of using our blog, you can check out all the cool things that are going on by visiting our Regency Park Library Facebook page at http://www.facebook.com/regencyparklibrary. Hope to see you there soon!